UK Local Councils Need To Wake Up! Vapers in Power are enraged by the updated “position statement” from Public Health Wales. Vaping changed my life. Vaping saved my life. Vaping is my life. I write this entry on the afternoon after the campaign day before. My feet are recovering and enthusiasm stores are getting replenished. Before I get on with how my own day went I’d like to fill you all in on some rather important behind the scenes work that was occurring on the same day (Saturday) and even today (Sunday). This important work revolves around out election communication leaflets. You know, those things that end up in your letter box when you least expect it, telling you about the candidates and what they will do if they win their seat in an election? All the leaflets arrived on 2 massive pallets at a secret location in Cardiff on Friday, where our dedicated team including our candidates received them. The total of 195,000 leaflets. You may recall our very own Liam Bryan sorting the leaflets for Kingswood in the General Election 2015, that amount was about 80% smaller in quantity. MAMMOTH TASK AHEAD! – Taken by me. The picture above is how they were received. That is just one of the pallets. Throughout Saturday, the dedicated team started bundling them together for where they are heading off to and ready for delivery to the main Cardiff Royal Mail sorting centre. Despite the arduous task ahead the team filled with caffeine, vaping and purpose kept bundling the leaflets until night came in and managed to sort the Regional leaflets for Bernice. Today is the day for Lee’s Cardiff West leaflets. These leaflets will be delivered to Royal Mail Cardiff at 7am and the leaflets will be then sent out to various houses in South Wales Central and Cardiff West soon. A massive task and my thanks goes out to all involved. So the 1st vape shop was very accepting to the campaign posters and leaflets for Lee. Straight away the A4 posters were put up in the window and leaflets put on the work-tops. 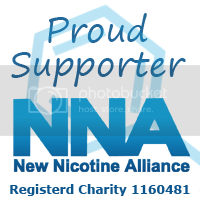 I waited around and managed to have a chat with a customer who was very much on the pulse of our campaign and media coverage so far thanks to vapers.org .uk . The customer left enlightened about some specific points of our Welsh Manifesto. The 2nd shop, took the posters but didn’t put them up straight away. I spent about 30 mins in the shop and no customer came in. I found this rather odd for 11am on a Saturday morning in Cardiff. As I needed to crack on with my campaign trail, I have no idea if the campaign material was put on display. It wasnt by the time I left and I did politely remind them to do so. Moving onto the larger of the 3 Canton based vape shops. As I have not been to this shop before I was surprised by the size of it. So I went up to the nearest free employee and asked if the campaign material could be put on display. To my shock, the reply was “No. I need permission of the manager.” Fair enough so I asked if I could speak to him/her. Yet again “No, he isn’t here.” I proceeded to ask for a contact number or email and the reply was “No, use our Facebook page” So I left the store with a bit higher blood pressure than usual. I have since messaged the facebook page but with no reply. I shall now be contacting the franchise HQ. The above applies to 2 other vape shops but on the eastern side of Cardiff City centre on Albany Road. One senior member of a shop said “It’s company policy not to display anything on the windows” which I found remarkable as a massive vertical banner with shop branding was on 2 of the windows. I did manage to get contact information for the head office and I am proceeding to email them after this entry. Yet there was some really good discussion about the TPD among the staff and myself at one shop. They all knew the major points of TPD which was a bit of a silver lining to the annoyance of not allowing my material in the shop. I spent about 2hrs in one vape shop just chatting with the staff and customers about all things Vapers in Power. The look on their faces when they realised that there is a party for them was both pleasing and comical at the same time. Another vape shop took the remaining leaflets I had and scattered them over the work-tops. They even asked for more so they could put them in the paper carrier bags for customers. FANTASTIC! The shop staff and the 2 main owners said they will certainly vote for Vapers in Power. While I was discussing some points, I noticed a customer reading a leaflet then proceeded to take a photo. Below is the said photo, shared on our Facebook page by Jim Clift. That links me to a final point about what people said about voting for ViP. I managed to speak to a student from Germany who was exceedingly surprised to hear that vaping could have been banned in public spaces in Wales. I explained the reasons and he was indeed shocked. I passed him a leaflet, he read it and he said “I would definitely vote for you guys if I could.” If a non-resident of Wales wanted to vote ViP, that has got to be a good sign surely!! Just like any campaign, there were ups and downs. Hopefully there will be more ups in the final 2 weeks where ViP will reach out to vapers beyond Cardiff in person to the best of our abilities. We shall be posting where we plan to be heading soon. If you are a vaper in those areas, please come on the campaign trail with us.